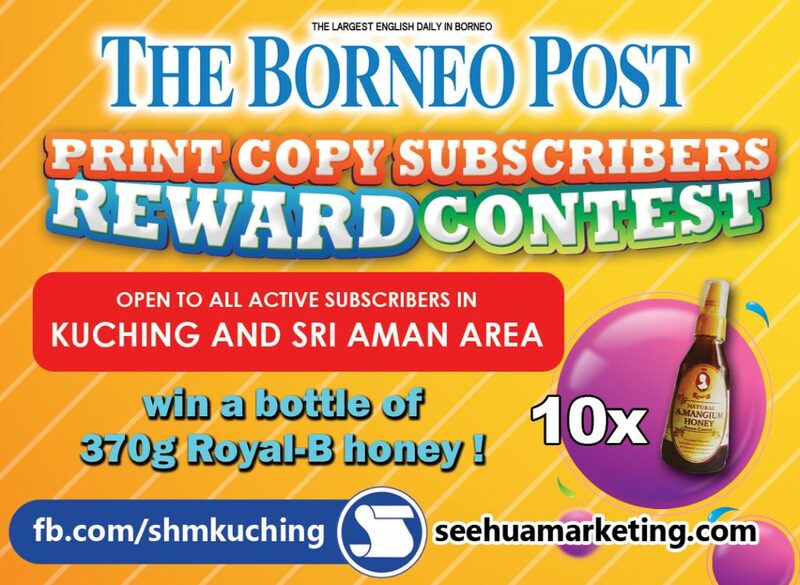 Borneo Post Subscribers Reward Contest - See Hua Marketing Sdn. Bhd. Good news! We are giving away 10 bottles of 370gm Royal-B honey to our valuable subscribers! 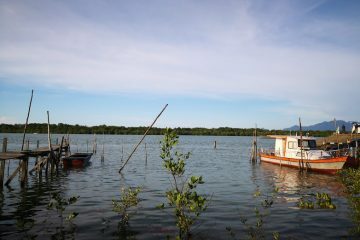 Open for all active The Borneo Post print copy subscribers in Kuching and Sri Aman. Fill in contest form and complete a slogan in not more than 25 words and attaches The Borneo Post print copy active subscription receipt, then you are good to go! Sign-in to Google is needed to use the online form. This contest is open to all The Borneo Post (monthly / yearly ) KUCHING & SRI AMAN subscribers with subscription receipt from 01.01.2019 – 30.04.2019. 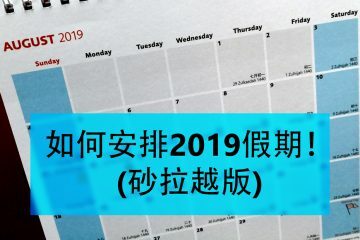 This contest will run from 01.04.2019 until 30.04.2019. Submission deadline is 30.04.2019, 5PM. Only ONE (1) entry per subscriber. The organizer shall reserve the right to amend the contest period and contest mechanics at any time without prior notice. The organizer shall reserve the right at its absolute discretion to substitute any of the prizes with similar value, at any time without prior notice. The prizes are non-transferable or exchangeable for credit and other items or voucher. By participating in the contest, participants agree to be bound by the contest rules & regulation and the decisions of the organizer. Winner’s will be picked based on the slogan’s creativity. Judge’s decision is final and no correspondences thereon will be entertained. Any cost or expense incurred by the winners in claiming or using the prizes will be the responsibility of the winners. By participating in the contest, participants grant the organizer and its affiliates the permission to use/publicize/disclose winner’s name, photograph or statements for publicity, advertising and promotional activities in the future without additional permission, notification or compensation. Proof of postage of the entry shall not constitute proof of receipt by the organizer.